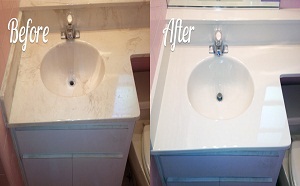 Classic Tub Repairs, Inc. Camarillo provides refinishing and repair services for fiberglass and porcelain tubs, sinks, showers, counters, vanities and more. 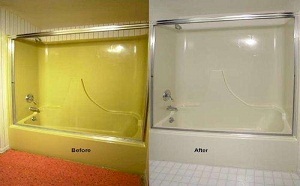 Our bathroom remodeler service handles all aspects of your remodeling job. 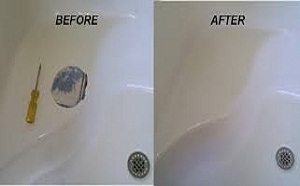 Before you opt to completely replace your bathtub or sink, come to Classic Tub Repairs and let us give you a quote on making what you already have as good as new. 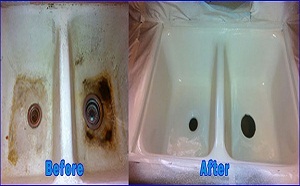 Classic Tub Repairs, Inc. can make any tub or sink look new with our bathtub reglazing experience. We provide repair and refinishing services in Camarillo for porcelain and fiberglass tubs and showers, tile splashes, shower tiles, foot claw tubs and more. 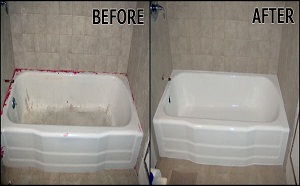 Classic Tub Repairs, Inc was founded in 1989 and has earned a reputation for high quality craftsmanship and exceptional customer service. Classic Tub Repairs employs more than 30 highly trained craftsmen and provides bathroom remodel service to hundreds of clients each year throughout Ventura County including Ventura, Oxnard, Camarillo, and Thousand Oaks. 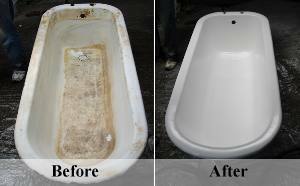 Fully bonded and insured, Classic Tub Repairs, Inc. carries a valid California State Contractor’s License. Visit the store today to learn how their professional staff can have your bathroom or kitchen looking brand new at a reasonable cost. Travel east on E Las Posas Rd toward Temple Ave.
Continue onto Upland Rd., passing Padre Sierra Parrish. Turn right onto Woodcreek Rd. Turn right onto Mission Oaks Blvd. Head west on US-101 N. Take the Santa Rosa Rd exit toward Pleasant Valley Rd. Turn right onto Santa Rosa Rd. and pass Adolfo Camarillo High School. Turn left onto Woodcreek Rd . Turn left onto Mission Oaks Blvd.